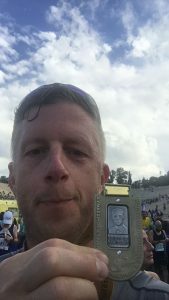 So, in May 2017 I signed up for the Athens marathon, which was on my (non existent-)bucket list to tick off for some time already. I still had some cool stuff to do before that marathon but I figured this was the time. 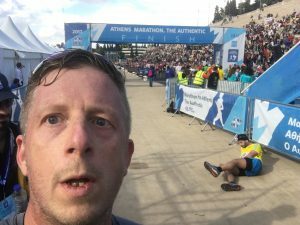 Between May and November 2017 you’ve read the misery I went through which also made me give up on the Athens marathon due to that. Luckily, as you can read in the previous post, the ankle had decided to give me a break and bring back some hope to run it after all. 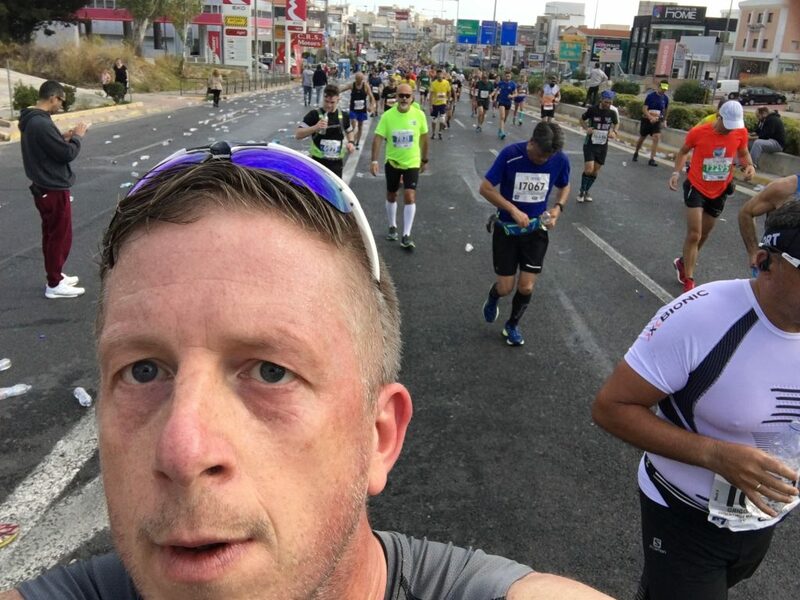 Now, from preparation perspective, it was not the best way to work towards a full marathon, with 300 meter ascend in a soaring heat (that was my idea). 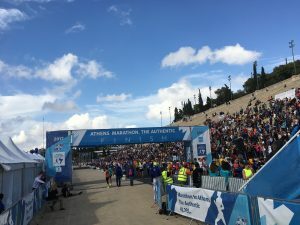 Basically I had three weeks to prepare for the Authentic marathon after not having run for three months. There. Sounds like a solid plan, right? Yeah, so thought some friends from the Running Junkies Amsterdam, what do they know?! I decided to take the challenge after all and trust on the fact my base cardio level would still be fine (thanks to the cycling) and for the rest the Ultra-trail mental battles experiences should also help me through it, which I also tend to call ‘I’ll run the last 41km’s on my stamina‘. 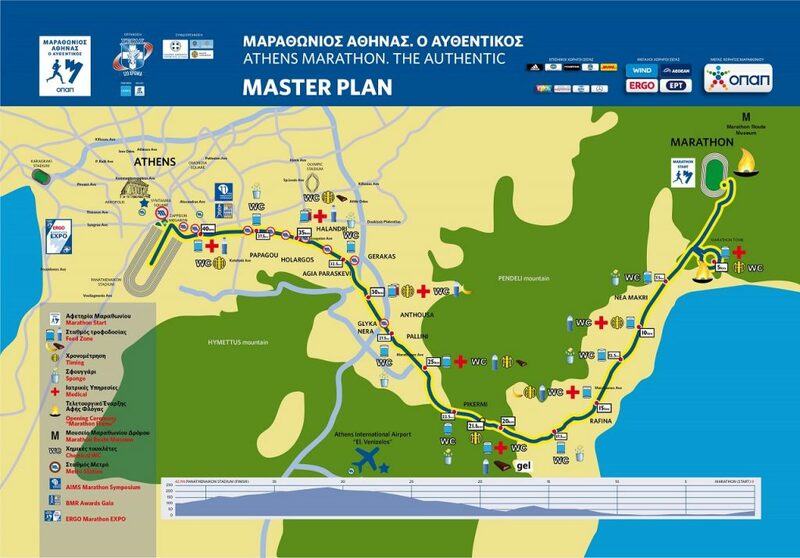 Let’s start with the course-map, which will give you a nice idea of those little hills and descends plus the obvious ascends. In total the ascend (according to my Garmin Fenix 3HR) was 330 meter and the descent 261 meter. You’ll also see the highest point was after (only-)about 31km. The point where a marathon is about to begin challenging your mental skillset. Up till ~20km it went all fine, was on schedule for a finish under 4 hours and I had to control myself to not go faster then the anticipated 5:30/km. But, as you can see above, the ascend started kicking in and that’s where the pace went down-hill (hehe). If it was a flat track, I guess I could’ve finished sub 4, which would’ve been a REALLY cool personal achievement. In the beginning I decided to make use of every drinking station, which was every 2.5km, making sure to stay sufficiently hydrated but also not to start running like an idiot. They served plastic bottles of water, which I really like above the cups; you throw out the first bit and can easily drink some. Agree, it’s not a nice environmental thing, but they were also continuously gathering the (almost-)empty bottles in separate bags, which gave me some trust it would get recycled properly. 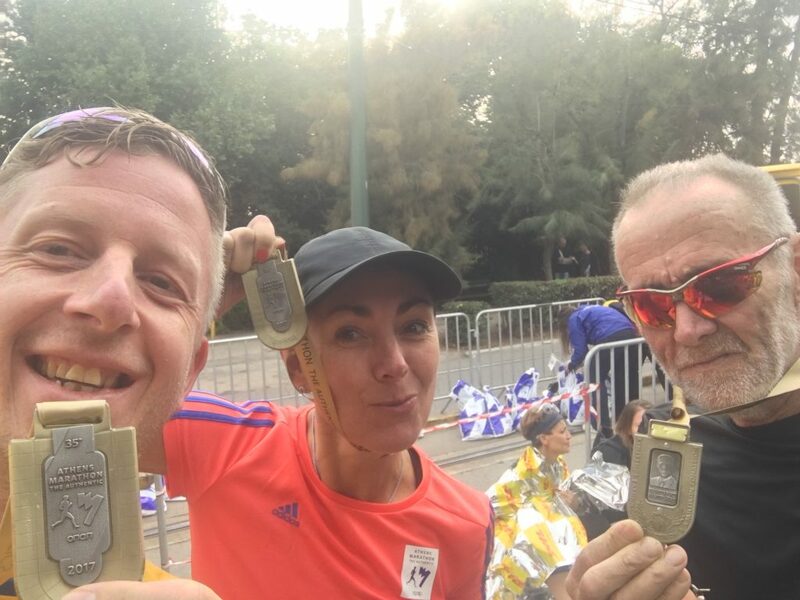 The moment you start noticing your body is trying to tell you to take it easy, starts asking you nicely to maybe take a little break, or maybe, pretty please, stop running and walk then, perhaps? Is where the mental battle begins. It started earlier then I hoped for, but giving that excellent preparation I had(…) it was not that big of a surprise to be honest. I managed to postpone the walking bit until about 22km and the first moment you give in to walking, you’re basically done. You will not run the rest continuously after that first walk. Knowing you still have to go another 20 km doesn’t make it easier, nor does the heat. It was not a soaring heat, but still 22C and a full sun does not help me, I’d much rather run in rain or freezing cold. The remainder of the course I balanced straight- and downhill bits with running and walking the uphill parts. Had some nice chats with fellow runners (who tap you on your sweaty back while walking to motivate you to run again, how cool is that!) and fellow Dutchies. 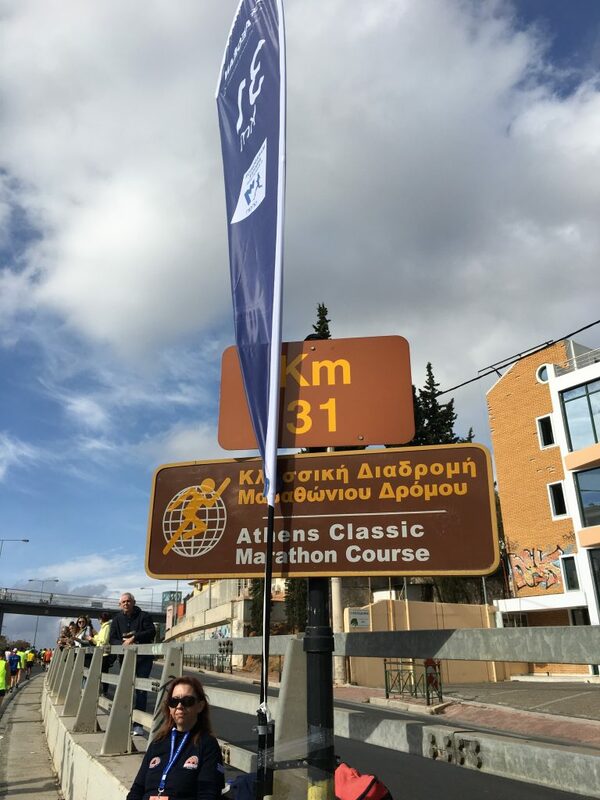 The last 5km I was able to gain some better pace, driven on the mental part when entering Athens city and the people along the road (not that much ppl, to be fair). And the idea of eventually ending up in that Arena really pumped the adrenaline level up. 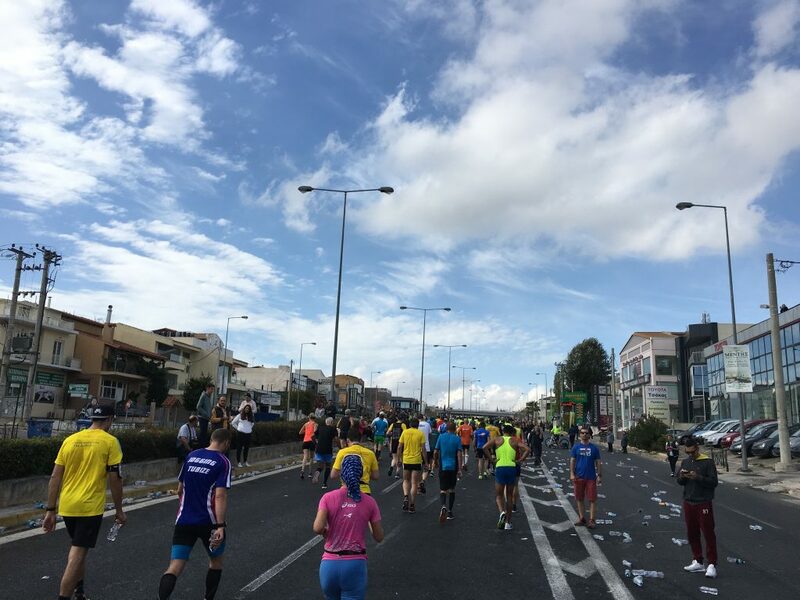 In short, it’s not a very beautiful scenic marathon, only main tarmac roads but it is actually the toughest I did so far, but still it should be on your bucket-list! Organisation wise perfectly arranged and the atmosphere is also really, really nice! The frustration of sitting stil. – Stop whining and run on It’s a process..